Forget everything you've ever read about shredding and soaking newspaper for days to make paper logs. There's a much faster and easier way to recycle your newspaper and create effective, long-burning paper bricks. Here's how I make compressed paper bricks, quickly and easily, to use in my wood-burning stove. 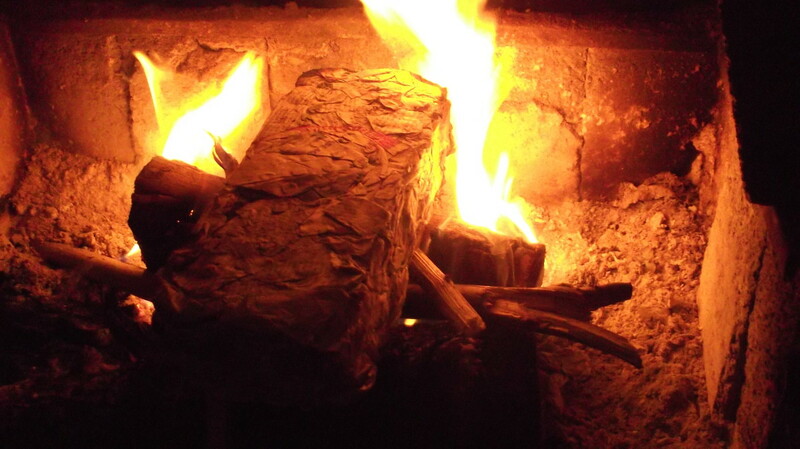 I make bricks from newspaper to use as fuel in my wood-burning stove. 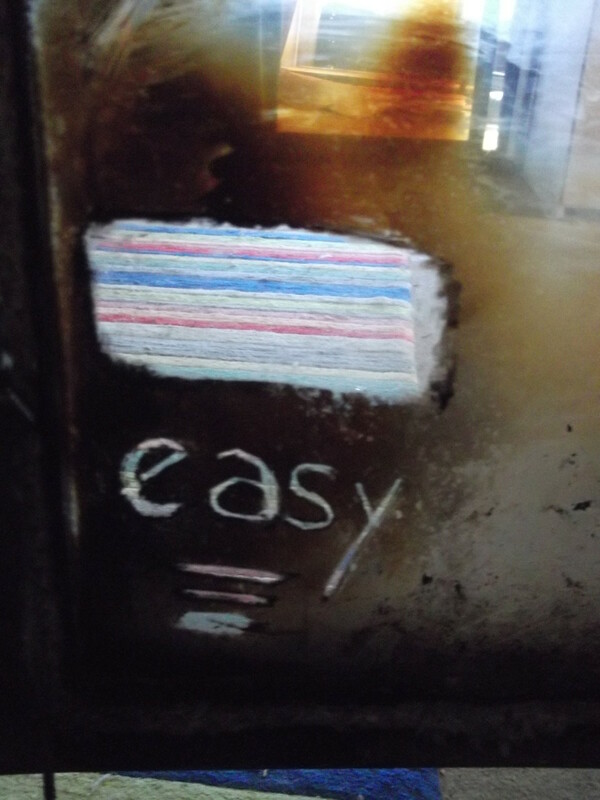 Because I live off the grid, I cannot flick the switch on an electric heater to keep warm while my paper bricks dry, so I need the process to be quick and easy. Fire keeps my family warm during winter. Living off the grid without electricity, I rely heavily on solar power during summer, and I need my wood-burning stove to operate constantly during the colder months. We burn split logs and fallen branches from the many trees near our home, but I also use recycled newspaper compressed into bricks to supplement the wood. Compressed paper logs burn hot, which is useful if we've been out or away long enough for the fire to die down; plus they make extremely effective fire-starters. Their heat is intense, which means there is no delay in generating warmth, and the flame helps even large logs ignite. If there's no dry wood on hand, paper logs can be encouraged to burn a long time. There's no need to fill the chamber of the fire with paper logs; you can burn them one at a time and still receive warmth. So what can you do to make your own paper bricks that will be ready to use within days instead of waiting for weeks as recommended? I believe life is too short to waste hours shredding paper and then wait days for the paper to soak before making something that will only be tossed in the fire and burned. I'm not creating a work of art or a family heirloom. I want the process of making paper bricks to be quicker and easier than that. There's a hard way and an easy way to achieve just about every goal in life. For a tedious task like creating hand-made logs for a fire, I prefer the easier option. Yes, I did follow the standard instructions for creating my very first newspaper brick. I tore the paper into little strips and soaked it longer than I believed was necessary, then packed it into the paper brick maker and struggled to push all the water out - gripping the handles and pushing down as hard as I could. The thought of repeating the process to make my second paper brick was enough to make chopping wood seem very attractive. A few weeks later I had another attempt, this time not bothering to shred the paper. I experimented with a number of different approaches. I am pleased to report my efforts were successful and I discovered a quick and easy way to make my own paper bricks. If you have a brick maker (or 'log maker' as the people at Amazon call it), here's the LTM way to use it. 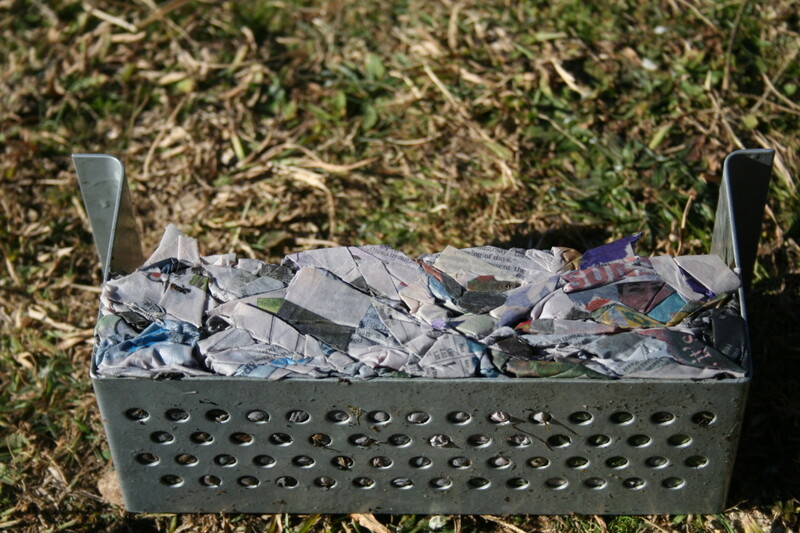 The single most important piece of advice I can offer anyone who wants to make their own paper bricks from recycled newspaper, is "Don't shred your newspaper". You'll have to trust me on this. Everyone else will tell you it is essential. I am telling you it is wasted effort. 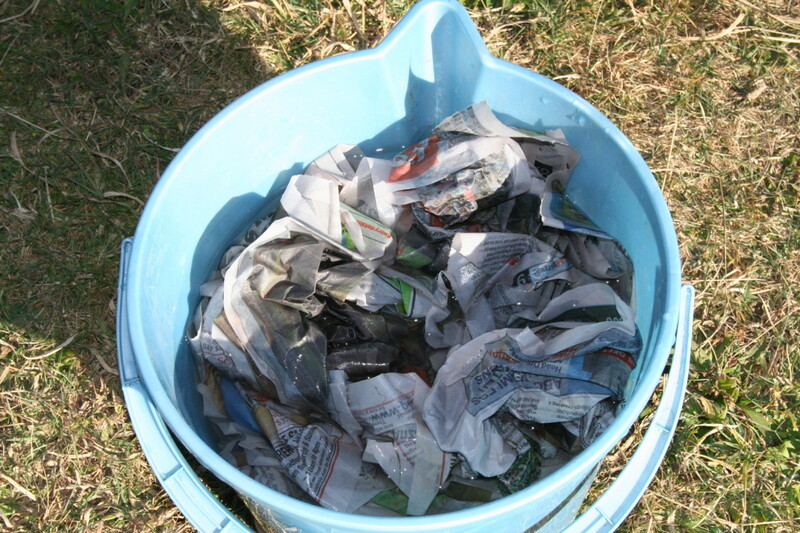 Separate your newspaper into single sheets and scrunch each page individually before putting it in your bucket. Why? Because you'll drive yourself mad if you try to scrunch the paper after it is wet. Sit outside in the sunshine with a nice cup of a herbal tea and the newspaper spread on the table in front of you, read a page (both sides of course) and then when you've finished, scrunch it up and drop it beside you. Okay, so maybe you have a pile of papers you read months ago ... just scrunch up each page and make a pile. When you have enough scrunched pages to fill a bucket, pile them in and cover them with water. Or start with half a bucket of water and then fill it with the paper balls. I find it easier to add all the paper at the same time so each sheet has a similar amount of time getting wet. If you leave the paper in for too long, it gets really soggy and starts to fall apart. 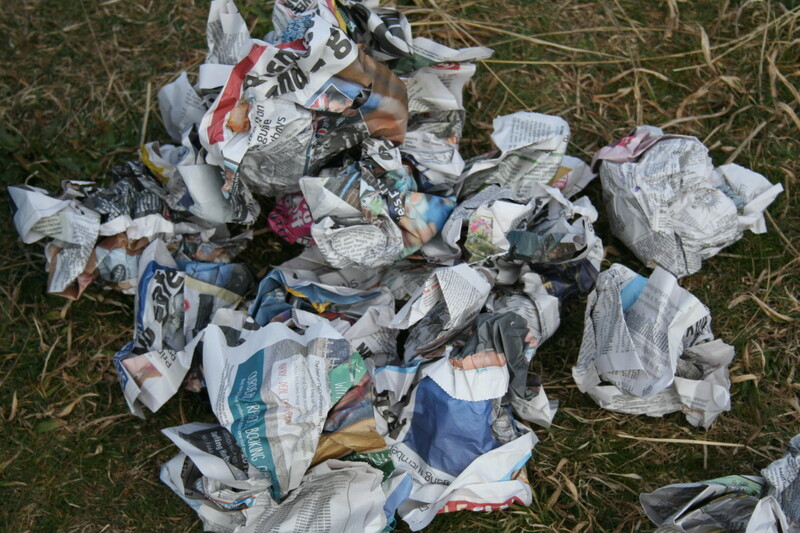 You are making newspaper logs, not papier mache so you don't need to make paper mush. Newspaper for paper bricks made my way will be wet enough in less than one minute submerged in water. Give the paper balls a quick dunking in the water. Don't soak them. In and out. Yes, that quickly! In summer I use cold water. In cooler months when I have a big pot of water bubbling on top of my wood-burning stove, I add some hot water to make the mix warm. There will be a certain amount of trial and error as you first begin making your paper bricks. I was surprised when I first began developing this idea by the amount of paper required to adequately fill the frame. If you don't pack enough paper into your log-maker, you won't be able to get the level of compression needed to expel as much water as possible. Therefore your brick will take longer to air dry. If you put too much paper in, you'll struggle to compact it properly - and risk breaking your brick maker. Take your time to perfect your technique. If you pay attention to what works and what doesn't, you can avoid future mistakes and have a surprisingly easy time making many, many paper bricks from recycled newspapers. The first thing most people will warn you about when making paper bricks with this type of brick maker is the danger of crushing your fingers. It is easy to avoid finger damage if you use only one hand at a time as you cross the handles into their resting position and determine which way is the 'right' way to position them. If you look where the handles join the base, you'll see one handle is bent outwards - that is your outer handle and is the last one to lift. 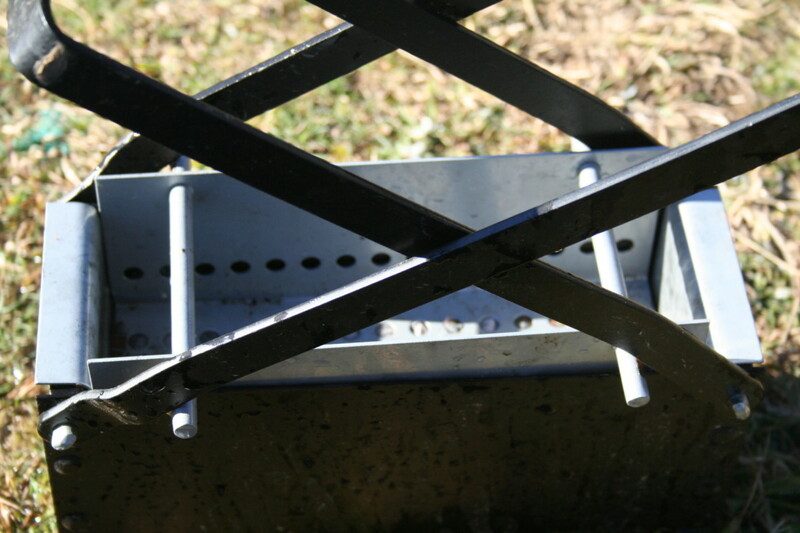 Once your handles are raised, push hard enough to settle the metal cover and the handles in place. After that point, you'll be using your foot - with a strong boot or shoe on it - so your fingers are in no danger. To my mind, however, the greater warning is to avoid breaking your handles. Pay attention to exactly how the device is designed. Even in an empty brick maker, the cover will not drop below a certain point. Look at the photos below. 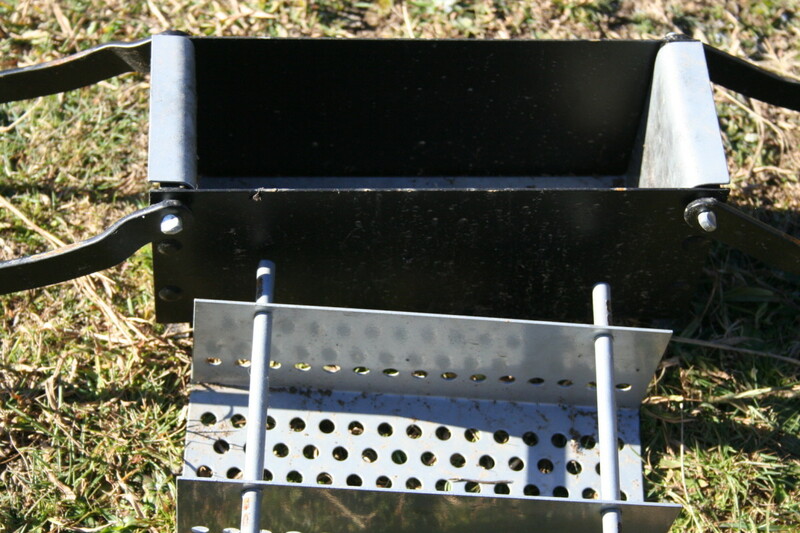 Two small extensions from the cover are pressed by the handles to help push the water out. They will never drop further than the top edge of the black base. If you insist on trying to push them further than their natural completion point, you are going to break something. Guaranteed. Check out the photo below. See how the paper has been pushed into the shapes of the holes in the cover? Try getting that effect using your hands. Maybe a 30-year-old weightlifter could achieve it with his bare hands, but it hurts my palms to press hard on a loaded brick maker even when I am wearing gloves - and I have no hope of achieving such a good level of compaction. Overlap Paper So New Bricks Look Like This! The photo above clearly shows how the scrunched pages of newspaper interlock to hold their shape in the finished brick. Release the edge of any one of those little pieces and you have a 'wick' of sorts when it comes time to light the paper brick in your fire. If your early efforts are not successful, don't worry. Smaller pieces are also good as fire starters. 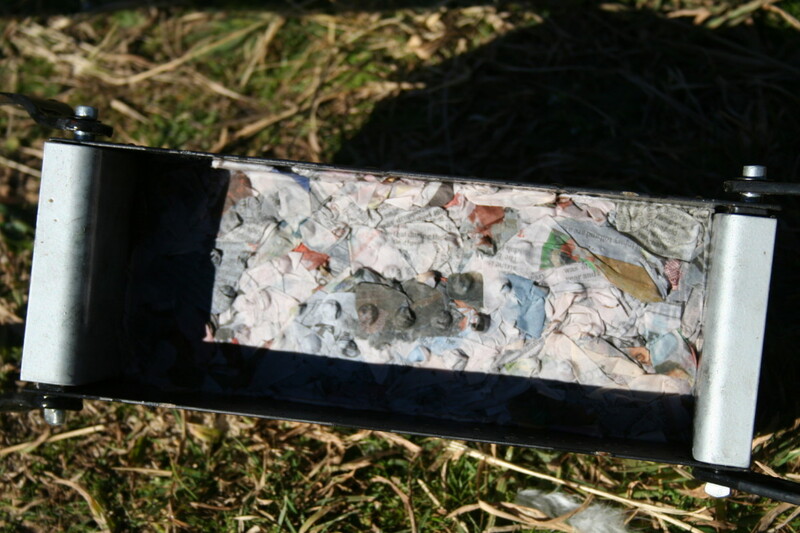 When you are packing the wet newspaper pieces into the base, don't put them in as 'balls'. Try to make sure they are flattened a little and overlapping each other so when compacted they remain interlocked. Scrunch each page individually. Make a dry pile on the ground next to you. Put the scrunched paper into a bucket and cover it with water, or start with half a bucket of water and stuff the paper pieces into it. Less water, same effect. Don't wait for days, or even hours. You don't need the paper to fall apart. You just need it to be wet and pliable. 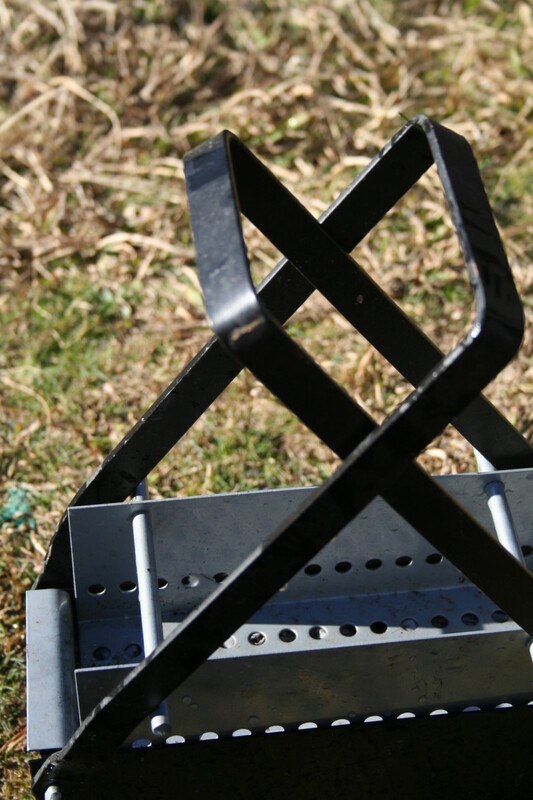 Place the open brickmaker on grassy, flat ground in your garden. Push each little bundle of paper in firmly and flatten it a little so that the other pieces overlap and interlock. They need to be able to 'grab' onto each other when the water is pressed out. Don't stress. Just do it. If your first attempt falls apart, you'll have little fire starters and more experience to pack the brick maker more effectively next time. Place the cover on and prepare to press. Position the metal plate over the top of the wet paper. It should rest just within the black metal frame. Then using only ONE hand, raise and position the metal cross bars. There's a right way and a wrong way for the bars to cross. They should rest 'smoothly' together. If not, alternate their position. Don't catch your fingers between the bars. Use one hand, hold the handle, and move each bar individually until you are confident you know how to cross the bars safely..
Use your FOOT - not your hands. Put on a work boot or strong shoe then position your foot directly over the cross. Gently increase the pressure to squeeze the water from the paper. Don't jump, bash or break the brick maker. Just step down firmly and evenly where the bars cross. Increase the pressure with your foot, then release it, gently forcing the water out. Open the cross bars and remove the frame that holds your new brick. There is enough flexibility in the base plate to stretch it out a little as you release the brick. Hold the base plate vertically and release the brick onto its side to rest on a flat surface. If the water is not running freely enough onto the grass below the brick maker, it might pool on the top. Just pour the water off and press with your foot again until the brick has compressed into a firm and solid shape. You can make these paper bricks at any time during the year, but obviously they will dry faster in summer. 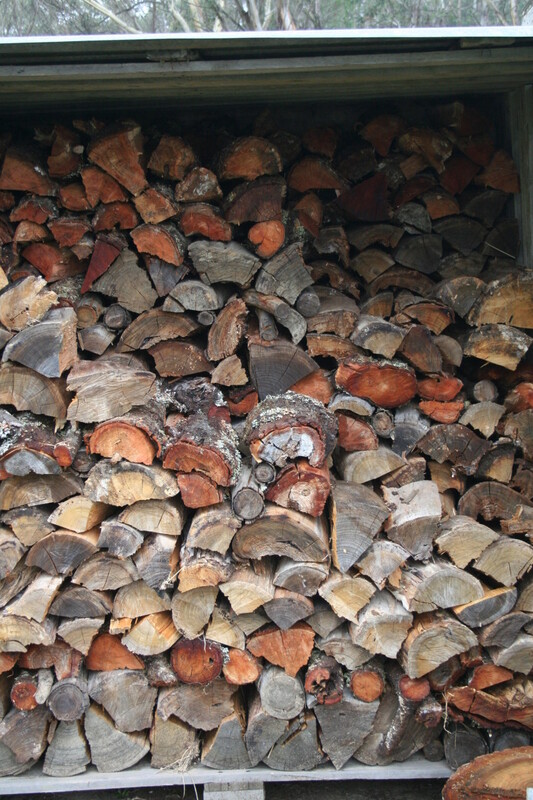 I start making mine in summer and stack them in their own 'wood stack' under cover when they are dry. Don't panic if you need to make more during winter. 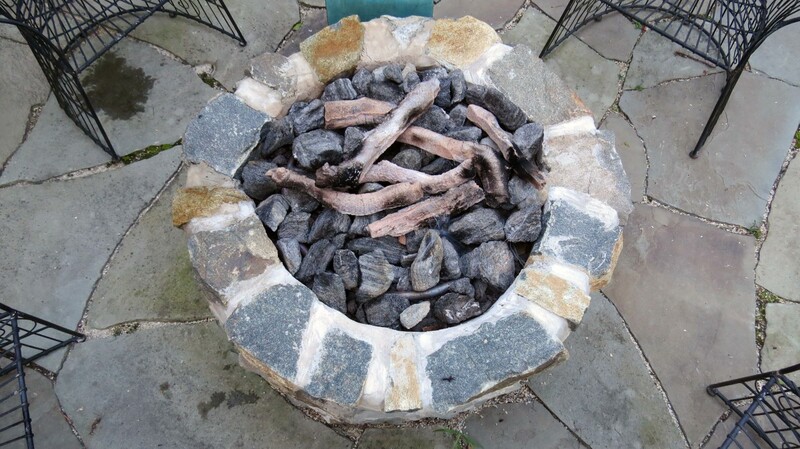 Stack your wet bricks near your fire - with gaps of air circulating between them and they'll dry within a day or two. It is easy to release a small amount of paper to act as the 'lighting point' on these bricks as you lay them out to dry . 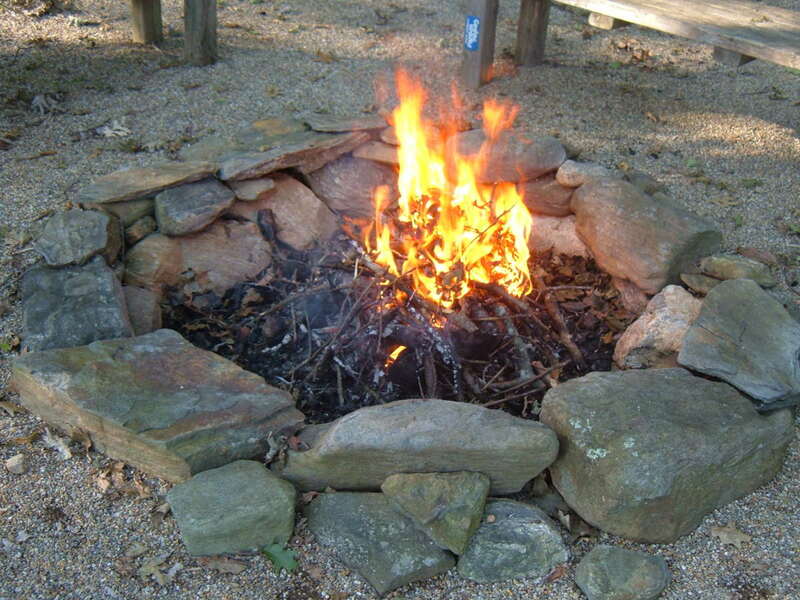 When starting a new fire, use a paper brick instead of fire lighters to ignite your wood. Print out this table of instructions to help you make your first paper bricks ... then scrunch it up and add it to your paper mix after you've comfortably mastered the process. lol. This is the tool you'll need to make your own paper bricks (or logs) using newspapers. Follow my instructions and you'll find the process is quick and easy. Ignore any instructions to soak paper for days or weeks, and there's no need to buy a 'mixer' of any kind. Save money and time! We are entering spring time here so I let my supply of firewood and paper logs dwindle. I was tricked by a few weeks of warm weather. When another sudden cold and wet period began, I quickly started scrunching newspaper. No kidding. I made another batch of newspaper bricks yesterday, and I'm burning the first of them tonight. They were quick to make and I used minimal water when I wet them. I stacked the wet bricks on the floor alongside my wood burner stove (with room for air to circulate around them) and placed a couple of the new bricks on top of a baking rack resting on top of the stove while I was in the room to keep an eye on them. In cold weather like this, we keep the fire burning all day and night. While we were sleeping, the bricks were at a safe but warm distance on the floor. This morning I returned the chosen few to their place on the top of the wood burner stove. Every few hours I turned them over or onto their ends. Tonight, they are burning brightly in the fire keeping us warm. If you rely on fire to keep you warm during winter, I encourage you to grab yourself a brick-maker and start generating your own fuel for your fire with newspaper bricks. Caught in the Cold Without Fire or Heating? Every winter at least one unlucky soul is caught without heating during a cold spell or freezing blizzard. Either the power goes out unexpectedly, or unforseen circumstances interrupt the fuel supply. My newspaper bricks dry quickly and effectively, but they obviously need a source of warmth to help them dry. If you are caught by surprise without any source of fuel for your fireplace, you might need to take emergency measures to keep yourself warm. This article gives my tips for keeping warm in an emergency when your home is without heat of any kind. It is also helpful in those circumstances when you can't access your woodpile or your fireplace simply isn't capable of cranking out enough heat to keep you warm. For instance, in an extreme blizzard. 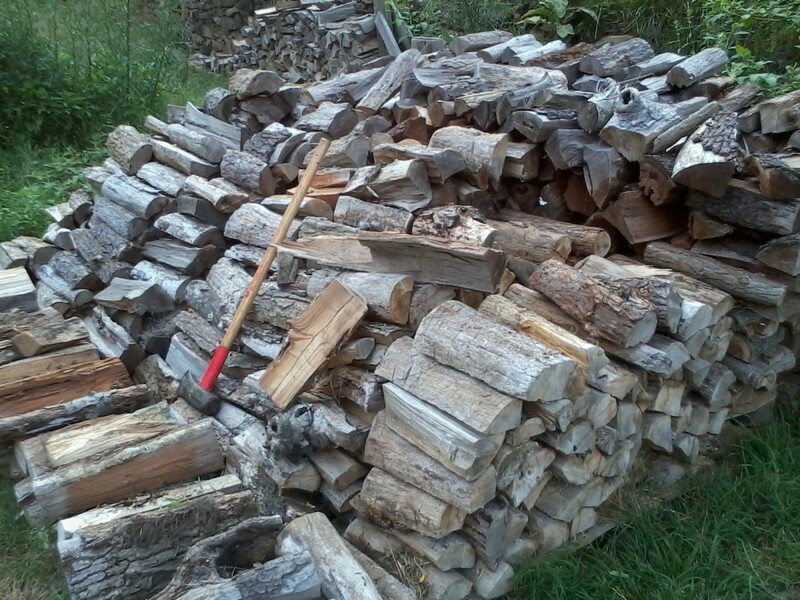 How Do You Fill Your Wood Pile? Where can I find a paper brick maker? If you want one like mine there’s a link in my article. Is this a fire resistant paper brick? No, they are not fire resistant. They are made for burning. Does the paper smell when you burn it? I burn mine confined in a wood burner stove so no, it doesn’t smell. 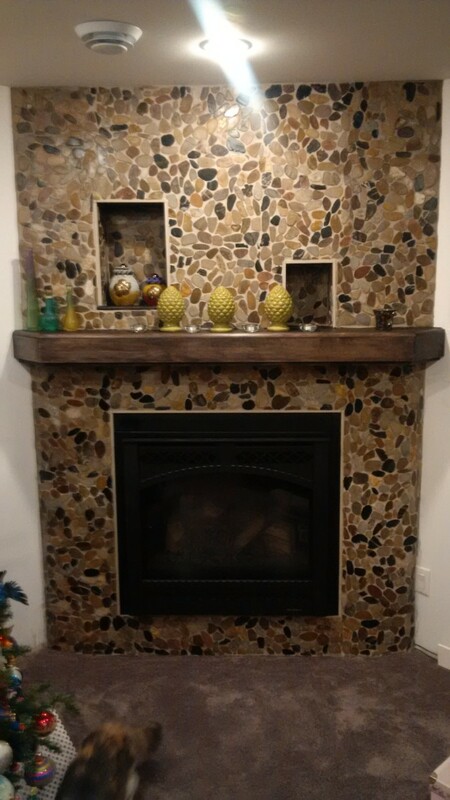 But I’ve never used them in an open fireplace. Is there a worse accumulation of soot, etc when using paper bricks versus wood? Not that I’ve noticed. I use my newspaper bricks in a wood burning stove, burning ‘hot’. Plus I clean my flue (chimney) every year. Hello Bernard. I've just seen your message. Sorry for the delay. I guess you've returned your newspaper brick maker by now. Not sure if they sent you a different one or not ... but here's my thoughts on the likely explanation for the problem you had. Unfortunately, it seems you didn't have enough paper in the brick maker. That would explain 1) how you managed to bend the handles, and 2) why your brick was still damp three days later. ~ It is near-impossible for me to effectively press the water from a correctly loaded brick with my hands. If it was easy for you, there wasn't enough paper loaded. There should have been much more resistance. ~ If you managed to bend the handles, you must have been putting pressure against the 'pins' (which I will explain below.) This is further evidence there wasn't enough paper in the brick maker when you put pressure on. I suspect you could have straightened the handles and tried again. But for now, let me help you see the actual problem. I'd like you to take a look at the photos under my subheading, "Step 3: How To Press Your Wet Newspaper Into A Brick." See the little 'pegs' sticking out at the sides of the insert? Beneath one of the photos I wrote: "Step 4: Put the cover on. It begins the pressing process above the level of the frame." And another says, "After stepping on the cross bars, the cover will rest with the small silver bars tight on the black frame. There's no point pushing any harder. If your paper is not compressed enough, you need to add more paper!" Sadly, Bernard, I think you must have put in wet paper, then put the insert in place so it sat down right at the beginning with the pegs already on the black frame. Then when you pushed, you bent the handles. I've taken a closer look at my trusty old newspaper brick maker and I loaded it with insufficient paper and put pressure on and managed to have a similar result to you. I sent off for the newspaper brick item from your site, what I got was a weaker looking facsimile, the items bent with just my hand pressure and I'm 76 yo, Thank God I didn't use my feet. I'm sending off for a return authorization but I thought I'd let you know that the pic you show and the item they will get are very different, (a piece of crap). I like your instructions but it been three days and the paper is still damp because of the cheap substitute they sent me. I'm letting you know so you could check this out before referring it in the future. We live in the north east and my entire life until this day my parents home is wood heated. We work hard and I remember helping my father in the woods bucking up tree limbs to take home to burn that the loggers left. This is a great article and i am looking into this for my mother who is getting up there since my father passed. 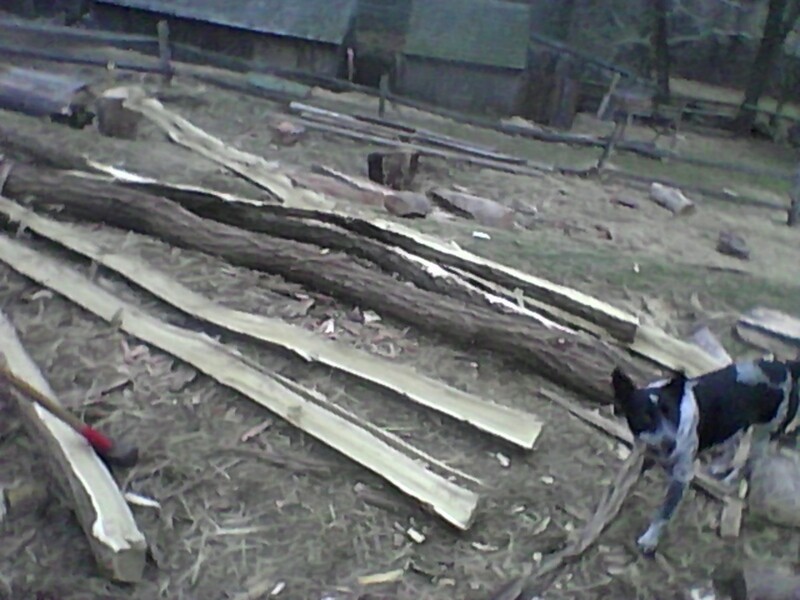 We cleaned the forest of wood that would have just sat and rotted heated our home. Don't knock it until you are home with no heat no way to cook your food because a nor'easter took your power for a week... How do you suppose those people stay warm? I've spent a lot of years living off the grid, Cynthia, so I've found he fastest, easiest way to execute most chores. lol. If you have an enclosed wood burning stove and access to old newspapers, these newspaper bricks will be very helpful to you. Always great to read how to articles written by you! This is much easier than any paper brick making directions I’ve seen before. I look forward to making my own paper bricks using this method soon! Thanks, Cathy. Time for you to discover just how easy making newspaper bricks can be. Just to thank you for such a brilliantly described and well-written article. Full of information! Inspired me to have another go at making paper logs! So tell me, AusAirqual, what efforts do you make to reduce pollution caused by your own home and lifestyle? I do hope you walk the walk, and not just talk the talk. Wood heating - used as the main form of heating by less than 5% of households in Sydney - are estimated to cause 100 premature deaths every year - about 25% of all pollution-related deaths. Bushfires and burn-offs do cause ill-health but the smoke quickly passes, so there's nothing like the damage to health from living next to a wood stove and being exposed to pollution for the entire winter. Another new study shows that air pollution (at levels similar to the amount of pollution if a few households in the area use wood stoves) is almost as bad for babies as smoking during pregnancy. Recycling paper is much better for the planet than burning it. As far as I know the RFS conducts hazard-reduction burns only in areas where bushfires are likely to threaten urban areas. 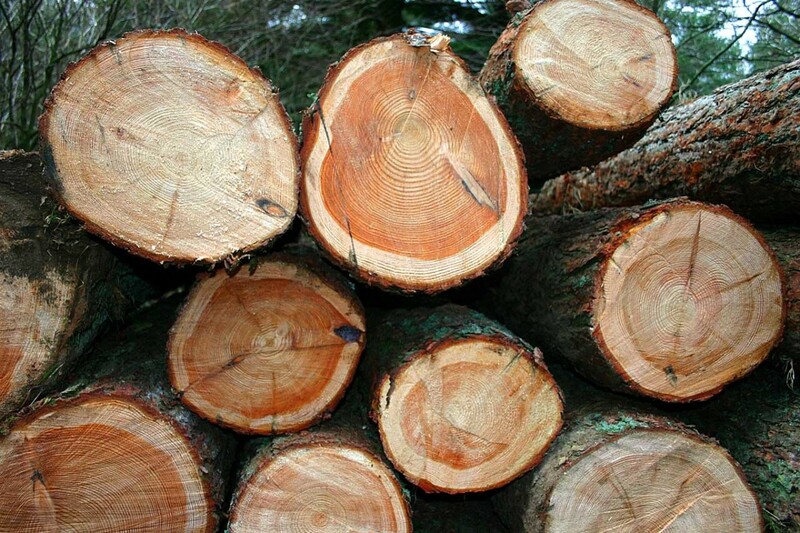 For other places, the ecologists warn us that firewood collection is bad for the environment because it deprives many species including threatened and endangered species of hollow logs for homes. Hi Alan. Yes, I agree that those who are quick to condemn are often the ones doing the least in practical terms. And have you noticed how often they seem out of touch with the real world? It is only a couple of weeks since Sydney was last blanketed in smoke from 2017's controlled burns to reduce the bushfire hazard in rural areas in NSW. The Rural Fire Service has warned residents across Sydney and surrounding regions to expect smoky and hazy conditions as it plays catch-up preparing for an expected early bushfire season. On Monday, Sydneysiders woke to a blanket of haze after a south-westerly wind overnight blew smoke from hazard reduction burns across the city. The burns were conducted in the southern highlands and Central Coast on Sunday. "We're way behind with the burning program," RFS Deputy Commissioner Rob Rogers told ABC Radio Sydney. And here's a link to a news report last year including photos of the Sydney Opera House blanketed in smoke during the 2016 bushfire hazard reduction burns. I'm not getting emails from Sydney residents thanking my family for saving them from additional pollution because we burn fallen branches in our wood-burner stove during winter, but I personally think it would be better for the environment if more families did the same. All that fallen wood becomes a bush fire hazard and is deliberately burned as part of hazard reduction. Meanwhile, folk using other heating methods including natural gas and 'modern efficient heat pumps' could have been actively helping avoid the massive annual burns that result in such widespread pollution and associated health problems in major cities around this time each year. But no, they fail to see the link. LT Mum, it looks like AusAirqual is thinking in absolutist terms. He or she can only think with a one-track mind. But you and I, along with uncountable other level headed people, know that diverse circumstances require equally diverse solutions. What suits one does not necessarily suit another. We cannot all do everything possible to mitigate the damage done to this world by our species. Yet if each of us is thoughtful enough to carefully adjust something in our lives that will produce less waste, less pollution; be less selfish, less judgemental; more innovative, more considerate of the needs of others.....then we just might help to heal the planet before it spews us out in terminal sickness. In my experience it is those who are quick to condemn that do the least in practical terms.....an almost religious zeal that requires others to do the changing. Bill, I doubt there's anyone who only burns newspapers, given a choice. By the way, my family uses a waterless composting toilet. Much better for the environment than the standard water-wasting toilet most people use. What about you? I hope you're not polluting the waterways with your sh*t.
Hello AusAirqual. I can assure you there are few people on the planet more conscious of the health of their children than me (I've been a fulltime mother for near-on 40 years with my birth and foster children, with no visits to an emergency department)... and you're not likely to find many who match my efforts when it comes to reducing their global footprint. Can't imagine why you'd think I (or anyone) should need to 'waste' money on newspapers. Don't you have any neighbours or relatives with newspapers they throw out? Have you ever walked into a newsagency and asked if they have old newspapers destined for landfill? I wrote this article for the benefit of the many people who need to make newspaper bricks because they can't afford (or can't always access) wood for their wood-burner stoves. I personally don't have the need to use newspaper bricks often, although I still use them at least a few times each season. 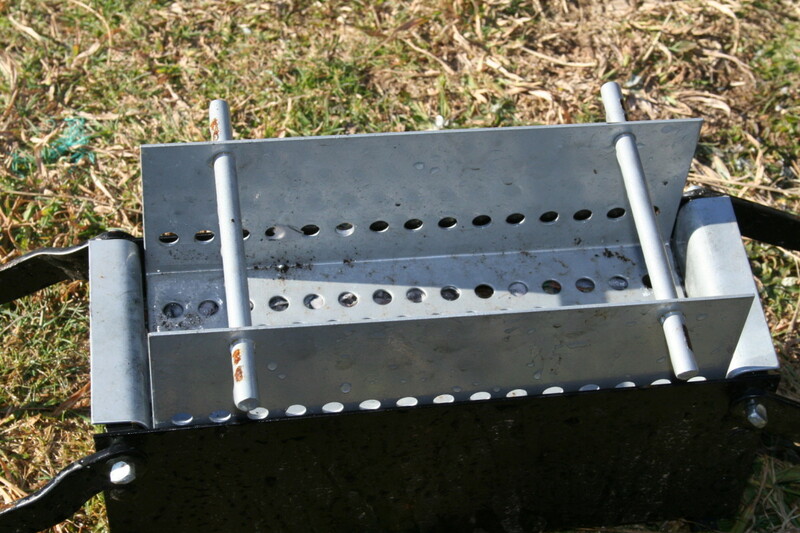 As I explained in my article, I can quickly make and dry newspaper bricks to use the next day during long, unexpected rain periods when I need to start a new fire. I'm fortunate to have an unlimited supply of fallen tree branches, including lots of black wattle in the hundreds of acres of bush near my home. and if my family wasn't so diligent collecting firewood from our area to heat our home during winter, it would just be even more fuel for the Rural Fire Brigade to 'burn off' in preparation for summer bushfire threats. Either way, that dead wood is going to burn. I don't see the logic in suggesting anyone who efficiently burns wood for heating and cooking (particularly with a water-jacket in their combustion stove) should replace their existing appliances and become reliant on electricity and/or natural gas. Why waste all that money to become less self-sufficient ... and to watch the 'wasted' wood burn in the RFS's controlled fire anyway? Good to hear, WSS. Now I'm interested in hearing what you do in your own home to significantly reduce your imprint on the environment. What do you have in place for providing your home and family with power, water, toilet, food etc? Nowadays, there are cleaner, more environmentally friendly ways to heat a home, even off grid. Thankfully, no other families will suffer from your pollution. Anyone with neighbours or is connected to the grid, should consider safer, more environmentally friendly way to heat their homes. Modern, efficient heat pumps/heater air-condioners have superseded wood stoves and natural gas as the most cost-effective heating. They can deliver 5 or 6 times as much heat to the home as they use in electric power, are affordable (as cheap as buying a wood stove) and have lower running costs than buying firewood and indeed less than the cost of buying a newspaper every day. In addition heat pumps cause a lot less global warming, and don't damage our health. Why are you wasting all that money on newspapers when the alternatives - heat pumps and reading the news on the internet - would be cheaper as well as better for the environment? My views on the health hazards of smoke from residential burning are not based on "my own fear," but on being well acquainted with the hundreds of peer-reviewed research studies that have been written about it. You don't say where you live or how you heat your home, WSS. Perhaps you live in the tropics where cold is not a problem and your climate has no need for seasonal heating. Yes, it would be wonderful if the world had no need for using any fuels of any type ... but that's not the world most of us live in. I burn my fires in a combustion stove and my flue/chimney rises far above my roofline. Fortunately for me I'm surrounded by hundreds of acres of trees and bush, and the wind I often curse carries my chimney smoke away from my gardens. However I'd still make and burn newspaper bricks along with wood from fallen branches even if I lived elsewhere. You say you don't use newspapers with your food, but are happy to release the particulates and toxins out your chimney. You really should learn something about the science of fine particle pollution and airborne toxics. When you burn something -- be it wood or paper bricks -- the particles in the pollution you produce are in the ultrafine size range. They easily infiltrate back into your own home, as well as into those of all your neighbors. If you could seal up a house tight enough to keep out wood (or paper) smoke, you'd also keep out oxygen. Multiple peer-reviewed studies have shown that as much as 80% of the particles you release out your chimney infiltrate back into your house, and into the houses of everyone around you. Papers are often bleached with chlorinated compounds, and the inks often contain metals and other toxins, whether they are soy-based or not. All burning -- be it wood or paper -- creates high levels of particles and toxins, but when you burn something that has been bleached, such as paper, it creates much higher levels of highly carcinogenic and endocrine-disrupting dioxins and other toxic compounds that are persistent environmental pollutants. These don't just go up your chimney and magically disappear -- they become airborne environmental pollutants that eventually become a part of your environment. Many newspapers are now printed using soy ink, Adrian, instead of the traditional petrochemical products. So in many ways, newspapers are less toxic than they were. However they still contain solvents and other toxins to some extent, which is why newspapers should absolutely never be used to wrap foods or soak fat from fried foods (as is the case in some countries.) In my youth, just reading a newspaper left ink on my hands but that doesn't happen any more. Technology involved in printing will undoubtedly continue to change. My wood burner stove is sealed from the air we breathe in our house. In the past I've had open fireplaces in some of my homes (where even burning wood caused potential problems with carbon monoxide poisoning), but now any smoke or gases are expelled out the top of the chimney. I keep the glass front of the fireplace tightly shut at all times, and monitor the vents to make sure an appropriate amount of air intake keeps the fire burning 'hot'. And when cooking, my pots are on top of a closed metal base. 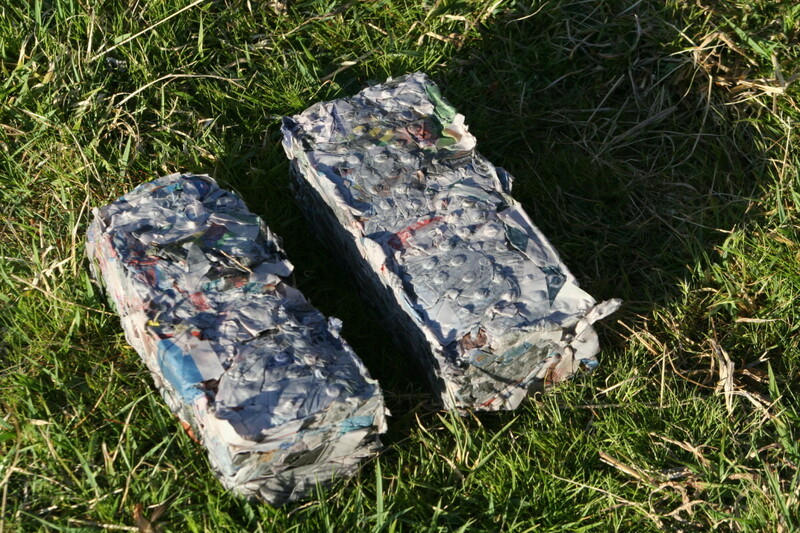 Making newspaper bricks using my method is quick and easy. My hands don't touch the wet newspaper for very long at all, and I wash them after brick-making sessions. However an additional protection would be to wear rubber gloves, although I'd not thought about that before now to be honest. I hope my answer helps you. Perhaps you could contact your local newspaper office and ask them if they use soy-based inks. I think you'd better read my article again, selvamani. I make newspaper bricks for burning in my fire to keep my home warm. Your question suggests you're considering them for building which worries me. These bricks are not designed for construction. what is the compression strength and durability of this bricks. I don't think it is possible to post a photo in these comments, Jeannie. You'll have to try describing your bricks. Or email me your pic to longtimemother at gmail dot com and I'll take a look. I'm getting the hang of making the paper bricks. I wish I could post a picture, but don't see how to post a picture. opps, I forgot to mention, my newspaper brick maker came in mail yesterday. I tried it out and bricks fell apart. I reread this blog today. I saw the part that I missed. Press the wet newspaper firmly in the machine. I could really use wire baskets the same size as bricks to hold them intact during drying time. At least until I become master paper brick maker..
Jeannie, you can't just 'put weight' on wet, crumpled newspaper and expect it to stay in shape. Were you using a newspaper brick maker? You don't mention using one. If you were, write back to me again and I'll give you some more hints. But it sounds like you were just putting some kind of weight on a pile of wet newspaper. 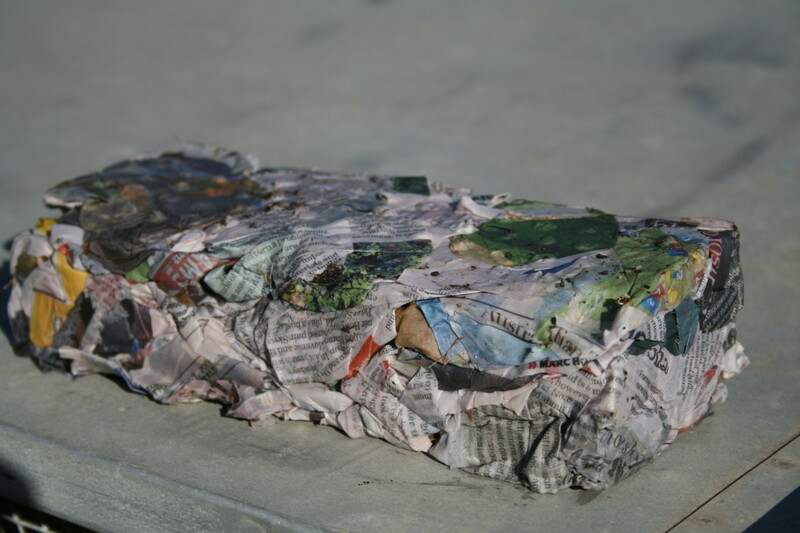 I crumbled newspaper, wet it, overlapped it, put weight on it. my bricks fall apart. Mine is a wood-burning stove, Tilly I don't know enough about coalburners to advise you. If coal-burning stoves are still available for sale in your part of the world, perhaps you could ring up a store that sells them and ask the salesperson. They should know. If it is safe to use newspaper bricks in your stove, I suggest you give it a try. Good luck. I can get a redunant coalburner from my mother. Can I burn paper logs in it? There was an old rule: you can burn wood in a coalburner but not coal in a woodburner. Or was it the other way round? My grandfather isn't around anymore to answer. Once you get in the swing of making your own paper logs, Solaras, you'll save lots of money. Three dollars a log for starter wood sounds crazy! Good luck with your paper bricks, Ngamminpye. I find them really useful! Brilliant hub! I am so happy to have a use for all of these papers I have been schlepping out to the recycle bin, and now not to have to pay 3 dollars a log for my starter wood, wonderful! So I went to order the paper log maker and it was out of stock. The 4 log maker was in stock, so I bought that, but you might want to update your link to the 4 in one while the other is out of stock. I never know waste paper could be turned into bricks for fire. I'll be making my own paper brick soon. I like this idea! I just wish I had seen it back when I was burning wood! I like the idea of making paper bricks. It is so much more friendly to the environment than the fire starters we normally use here in South Africa, and they also do not smell as bad. Thanks LTM. I failed to emphasise that inner part of the wood chip pile needs to remain moist for fungi to thrive. Surface may dry up but not the deeper parts. Individual experiment will discover the best regime. Using ash to clean the stove glass can cause scratching of the surface if there is any grit present. Charcoal tends to be very soft and forgiving. It does not scratch at all and, with a little water as the lubricant, glides over the glass surface easily. Secondly, concerning your pile of wood chips and what to do with them. There are numerous living organisms which break down organic matter. In the case of lignin, i.e., the substance in wood that gives it strength and structure, the primary organisms that begin to break down lignin are fungi. They are present in huge numbers but are mostly microscopic strands of mycelium. They exude enzymes which begin the chemical breakdown of lignin. Once the enzymes have started the process, this opens up the way for other organisms to come in and continue the process of decay. Where do you find a source of these fungi? Look under the hedgerows, under trees, in the forest, in a pile of old rotting logs .... your own locality will have grown it's own resource. Get a few bucket-loads of it, as much as you can, mix it in with your wood chips. Make a compact pile, leave it exposed to the rain, snow, sunshine, whatever the weather for 6-9 months, and see what happens. You will end up with a nice living mixture of humus and nutrients that can be incorporated into your garden soil. But you have to give it time, lots of patience. As we move into the colder months here in Australia, I am about to start making newspaper bricks again. I have a pile of newspapers ready and waiting. Making a paper brick is so much easier than chopping wood. Great hub LongTimeMother! No one has time or money to waste today. Thanks for the in-depth sharing. A cord of wood didn't use to be so expensive, and even so, using the newspapers too as you suggest helps with recycling. What you don't use can go in the compost pile. Regarding your big pile of wood chips, I use clay for building walls. Not sure I'd want to use it in my fire though. I'm not a fan of slushy newspaper mush, but if you were to soak newspaper long enough for it to become slushy, you might be able to use it to bind clumps of wood chip. Of course you'd have to find somewhere for them to dry before you could use them, and I don't know what the result would be. ....as regards cleaning tar from glass doors, wood ash is supposed to be good although I haven't tried it. Heavy duty hand cleanser ( the type used buy mechanics) also contains a mild abrasive and is great for removing tar and grease. Tedious work, but it's great to be able to make use of waste like this. The environmentalists would probably moan about this, butI think dioxin produced by burning is only an issue with white paper which has been bleached. I wish I could think of a way of using up the big pile of stuff I have accumulated from chipping branches with a small electric chipper. They could be turned into bricks if I could come up with a way of binding the material together, possibly using clay. Life's too short to waste time on any task that has a quicker and easier option, Jonny. I'm pleased to hear you are saving time and money. If you don't already have a paper log maker, you really should get one. Much quicker and easier than chopping wood! Let me know how you go if you decide to try it. Haha! Yes, LongTimeMother, it was of course yourself, a Senior's Moment on my part, please forgive. You have saved me many a half-hour trying to scrape that tar off, like Woody is apparently doing. And I have passed the method on to several people now. Previously I had used a spray can of stuff obtained at great expense at the store.... and the can lasted about 2 cleans only! Then I was trying the white wood ash as a "softener" for the tar before using the razor blade. Now life is a dream! Thanks for all your useful hints here in HP. You probably feel a bit like I do when people continually see my little Hub about using broken mozzy coils. It's totally un-commercial as far as I am concerned, but people all over the world have found it useful and that makes me feel really great! Hi Jonny. The only writer I know of on HubPages who wrote about cleaning glass with charcoal is ... me. lol. Does this mean you are actually cleaning your glass my way? Good for you! I suspect you spotted the little promo for that other hub, Woody. If not, I'm puzzled about why you posted a comment about cleaning glass here, where I'm talking about making newspaper bricks. Woody, that is a good way to do it.... cleaning the glass of blackened carbon, etc. I used that technique for a long time until someone here on HubPages told of using just a lump of charcoal. The charcoal is simply dipped in plain water.... no detergent, no ammonia, nothing other than plain water. Rub the charcoal all over the class, keeping it wet. This loosens the black and you can wipe it clean with newspaper. No scratching, no harsh chemicals. If there is a small area that has extra buildup that you can't move, then use your razor blade briefly. It works. I am so grateful to that writer who ever she was. I weep for what you're doing to the environment with all the dioxins you're dumping into it. Burning a little is not too much harm, but too much and concentrated in an area can do some damage. Thanks for adding your hint here in the comments for others to read. I don't use sawdust or bark chips in my brick maker, so it never would have occurred to me to wrap them. I'll try and create some more helpful hubs for you soon. lol. Thanks. i wrap my logs ,when dry, in a sheet of paper as i add sawdust and bark chips to the logs ,like a xmas present with tape,it dose not take a minute ,and it keeps the log together and no mess from the sawdust. Hi jonnycomelately. One of my kids asked me a while back why I still insist on buying newspapers instead of reading news online and I told her I wouldn't get much heat burning her ipad. You've just reminded me of another reason. lol. Thank you! Hello Farouk Alam. Keep the process quick and simple. If your paper falls apart, you've left it in the water too long. :) Thanks for your comment. I just heard a funny story about the use of newspaper. Grandfather, a bit deaf, says to his son, "lend me a newspaper will you, lad." "Dad, we don't use those these days. Here, try the Ipad." Splat !! "Gee! That got him good! You call it a Flypad do you Lad?" Absolutely, Penny. If all your junk mail is really shiny paper, the brick may split but our junk mail includes normal paper texture. 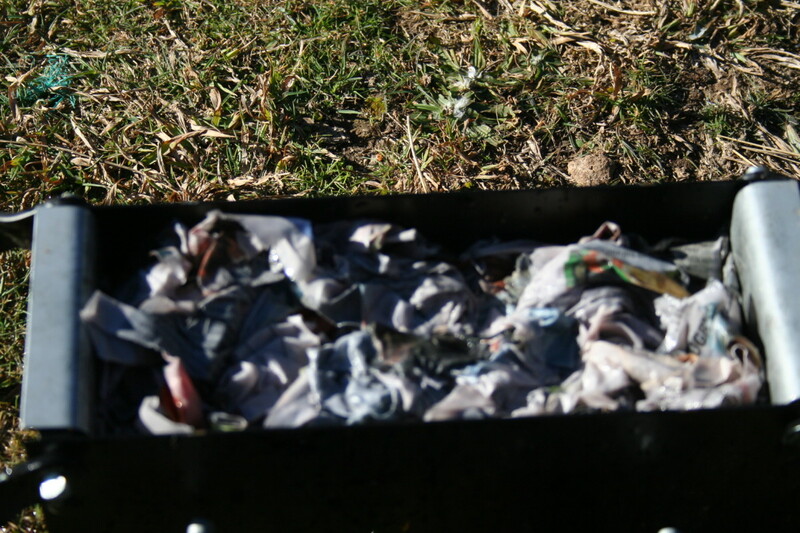 My junk mail, old bills, envelopes etc all make their way into my bricks (generally mixed with newspaper) to be burned. can i use junk mail instead of newpaper? Very well written, LongTimeMother...... great read, sensible and useful. Hello w kitchen. I am guessing your cellar must have moisture in the air, and your paper logs absorb it. That's just natural. 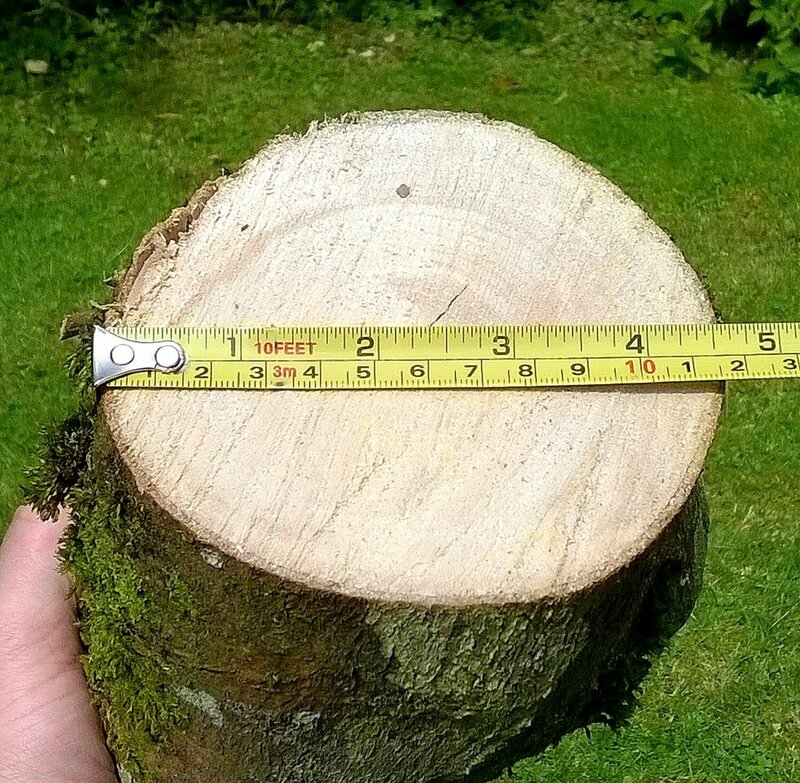 If you are stacking your paper logs directly onto the floor, try raising them. That could be as simple as stacking them over a couple of planks of real wood. How damp do they get? Are you able to bring them upstairs into the warmth and have them dry again within the day? hi,how do i keep my paper logs dry in winter. when i make them i keep them in the greenhouse until really dry,then i stack them in the celler where they go damp again? has anyone any ideas as to why they go damp. I have often considered getting one of these paper log maker things but could never believe that it would be a reasonable pay-off against the time spent preparing them. The advice you give here is a game-changer. Gonna try this now. I like the way you think. If there is an easier way to do something, then I want to hear about it. Thank you for the clear and easy-to-follow instructions. Thanks for the thumbs up, Rosie. I cannot think of a better article on how to live better by your own means. Awesome and up! Excellent instructions with clear explanations. This is a great way to save money and recycle at the same time. Thanks for the vote up Eddy. :) Making paper bricks is one of those seasonal tasks that makes winter off-the-grid much more pleasant. I find they are extremely useful and I like the fact that I don't get splinters as I carry them inside. lol. How this brought back great memoires ;I'd forgotten all about making these bricks. A great hub and voted up.